Level 3 Award in Coaching Squash and Squash 57. How much does it cost and is there any funding available? What are the pre-course requirements? be technically competent (being able to demonstrate all shots) and have a reasonable knowledge and understanding of the game. have completed a England Squash Level 1 Award in Coaching Squash. have an up-to-date Disclosure & Barring Service (DBS) enhanced check. have an up-to-date safeguarding certificate. attend a three-hour certificated First Aid Course. be an England Squash coach member. Simply search for a course in your area using our Course Finder and book online. If there are no courses available in your area, please keep checking the website. Check out our coaching FAQs or contact our coaching team: coaching@englandsquash.com. Need help funding the cost of a coaching course? Find out about financial support in your area. 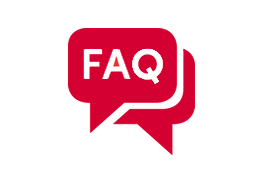 From DBS checks to safeguarding, we've all the answers to your frequently asked questions.